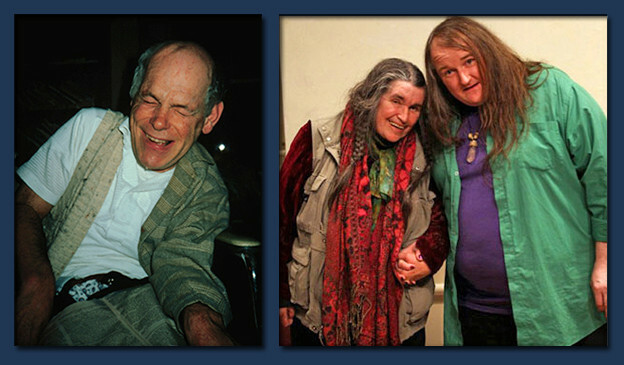 Larry Eigner, left, in 1984, photo by Alistair Johnston; Bernadette Mayer and CAConrad, right, photo © Lawrence Schwartzwald. Is this mental/intellectual/psychological focus within Conceptualism ableist? At the very least it seems to be one-dimensional: the body marks a caesura, and it is a product of Conceptualism’s relationship with the body and its positioning of itself in relation to it. There’s so much of a focus on the idea, on how the work strikes the mind — it’s rife with duality. Indeed, Conceptualist scion Sol LeWitt’s “Paragraphs on Conceptual Art” can be surprisingly Cartesian at times. He writes: “Conceptual art is made to engage the mind of the viewer rather than his eye or emotions.” This sentence bothers me because it implies that the mind is not somehow talking to the eye or emotions. If Conceptualism is about the idea, why couldn’t the idea be communicated through the body? What if the “machine” that drives the poem’s construction is the body? What if the Oulipian constraint is the body (via disability, media, etc.)? The manner in which I came to ask these questions is undeniably personal. On March 1, 2014, I suffered two small strokes in my thalamus and paramedial pons, respectively. I was lying in bed watching Bergman’s The Magician and noticed my lips were numb. I was having difficulty standing up. It was like I was drunk, but I’d been sober for a month. Then my partner said my right eyelid was drooping. We called an ambulance. I was taken to the hospital. They confirmed the strokes. About three days later, my neurologist gave me the prognosis: I probably would never drive again, I would have difficulty playing piano anywhere near like I had, my double vision would likely never be resolved, there was a ninety percent chance any one of the small strokes I had could have killed me, and neither did, so I was lucky to be alive at all. After seven days I was transferred to a rehab hospital. I relearned how to walk with a cane, regained some strength and coordination in my left arm and hand, and adjusted to using an eye patch because I had diplopia. After three weeks, I went home. I began aggressive outpatient therapy and by the summer no longer needed the cane or eye-patch and was taking piano lessons again, and my left hand and arm were roughly eighty to ninety percent back to normal (and remain so). Needless to say, at first — due to the persistent dyskinesia of my left hand — typing was (and still is to a lesser but recognizable degree) a chore. My writing practice changed and became increasingly mediated or reliant upon found language or “plagiarism” (Apple + C/V was easier than typing). If I typed, I had to write in my head well in advance. My poetry became compressed, shorter, littered with the medical/physiological/therapeutic jargon I was inundated with in rehab, in the hospital, by nurses, physical and occupational therapists. Recording conversations or declamations by visitors surreptitiously via iPhone (or screencapping texts or Facebook messages to “plagiarize” later as well) became a primary mode of practice. I would often simply end up editing this found language or present it as is, merely adding line breaks (if that). As Conceptual as Goldsmith’s Fidget or formally radical as Kathy Acker’s work? No. I was inspired by the work of poets like Larry Eigner (and his story), CAConrad and his soma(tics), and Bernadette Mayer’s approaches to biography (cf. The Helens of Troy, NY). The effects of these strokes — the headaches, diplopia, and dyskinesia — became constraints or platforms and frames for linguistic data. The Latinate jargon that flooded my ears became found-language poems, as did the fodder of the often absurd conversations with visitors, friends, and family. 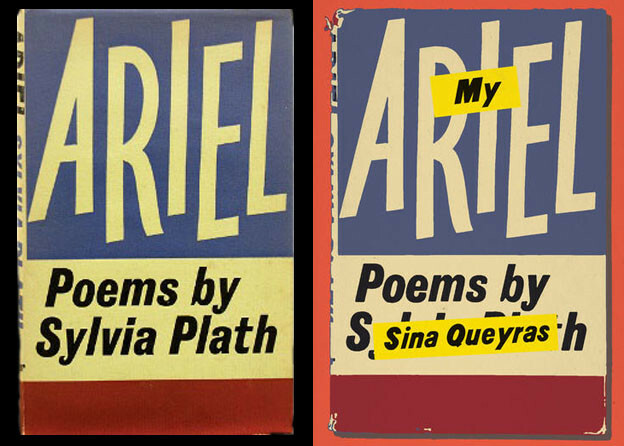 So were these poems Conceptual? I think so. Goldsmith’s détournement of LeWitt’s “Paragraphs” might be suspect: “The physicality of the work can become a contradiction to its non-emotive intent. Rhyme, meter, texture, and enjambment only emphasize the physical aspects of the work. Anything that calls attention to and interests the reader in this physicality is a deterrent to our understanding of the idea and is used as an expressive device.” The materiality alluded to here is cleaved to “physicality” not just in the sense of words on a page but writing produced by a body, through a body. The body, then, is an idea for purposes of Conceptual writing. Its failures, slippages, malfunctions, and (dis)abilities become part of that materiality and the media we use to mollify our bodies’ fallibility. They are a constituent part of the words on the page and thus the idea (often, the poetic devices Goldsmith alludes to become ways of “scoring” my body/existence). It is important that we begin to think of the work of disabled poets (indeed, all poets) not only as the work of the minds of these writers, but also the work of their bodies — a détournement, as it were, of disability as constraint and instead, like the pistons in an interference engine, the frictive kinesis of a language-producing machine. We might think of this as a special branch of Conceptual writing: ’corpaphysics, or the science of embodied solutions; disability poetics reconfigured as materialist/embodied poetics. 1. Sol LeWitt, “Paragraphs on Conceptual Art,” in Conceptual Art: A Critical Anthology, ed. Alexander Alberro and Blake Stimson (Cambridge: MIT Press, 1999), 15. 2. Kenneth Goldsmith, qtd. in Robert Fitterman and Vanessa Place, Notes on Conceptualisms (New York: Ugly Duckling Presse, 2009), 32. 3. I qualify Acker’s placement here because her work is clearly embodied — in fact, she may be the exemplar of how Conceptualist writing can be embodied. 4. Kenneth Goldsmith, “Paragraphs on Conceptual Writing,” Electronic Poetry Center.